Our first glimpse of Tony Parker since his injury is nothing but positive. The last time we saw Tony Parker was during Game 2 of the second round of the playoffs vs. the Houston Rockets. The best point guard in franchise history and current longest-tenured player went down in a heap from no apparent contact and had to be carried off the court by his teammates. The result was a torn left quadriceps tendon that had to be surgically repaired. Worse yet, it happened during a resurgent postseason performance after a below average regular season (for him) where he deferred more and selectively chose his moments. However, when the playoffs came around and it was clear Kawhi Leonard needed some scoring help as the rest of the team was slow to get into playoff mode on the offensive end, Parker accepted the challenge and stepped in as his clear No. 2 right up until the moment he went down. Since then, Parker hasn’t been seen in public, and we’ve only heard in small doses that he hopes to be ready to play again by January, and that reports of his demise may have been greatly exaggerated (or at least premature). While there’s hardly anything special there, and he may be moving a little slow and cautiously while putting more weight on is right leg, the fact that he can bend his knees and hold such positions is a good sign of progress for his quad. 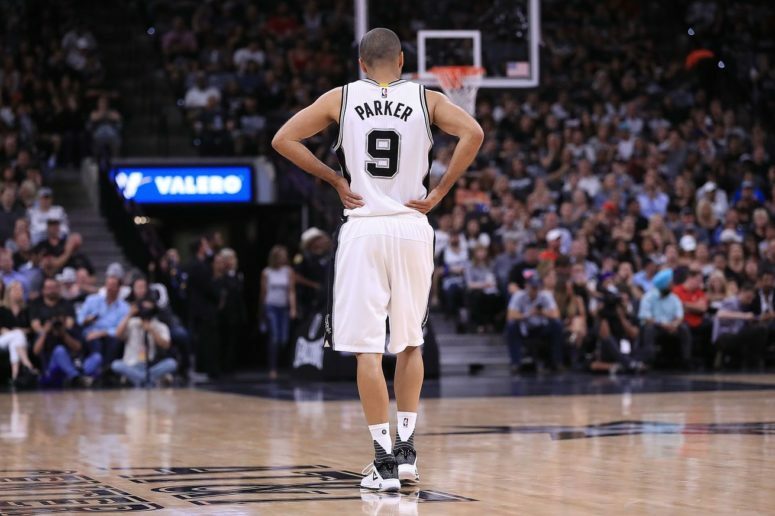 Ultimately, Parker still has a long way to go, but thanks to some visual aid and word from a teammate who has seen him working out, his positive progress is just more good news after finding out that his fellow Big 3 holdout will return for another season. Keep it up, Tony! Spurs fans everywhere are rooting for you!